Baseball and fastpitch softball requires equipment specific to the sport. Additionally, our league has guidlines and regulations on use of approved equipment. 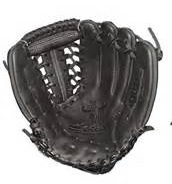 Each player should have their own glove to use for practice and games and should wear baseball or softball cleats. Players are recommended to have their own bat since the size varies for each player. 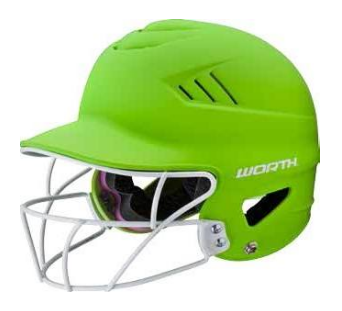 The league provides each team with batting helmets, though many choose to use their own, catcher's gear, heart guards and helmets for the pitcher's helper posiiton (A League), and heart guards and softball facemasks for the Softball pitcher. Once your player is registered they will we eager for the weather to warm to get in the backyard and start throwing the ball around. Each of our leagues has a particular ball it uses, and it will be valuable for your player to start using the ball they will have in practice and games. All baseballs in use at Skiles Test are 9" in circumference and 5oz in weight. Games are played with a ball with a full-grain leather cover and provided by the league prior to each game. Full grain leather balls can be used for practice; however, the outdoor elements cause these balls to wear and break down. Some coaches prefer to practice with recreational balls which have a slicker synthetic cover and last much longer when used on wet Spring days. Rookie Baseball uses a softer T-Ball built with a sponge cork and a rubber center and a synthetic cover. The ball is safer to use for younger players and provides extra bounce off of the bat. 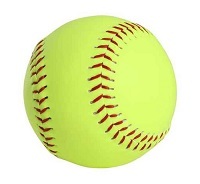 Softballs are larger than baseballs and are distinguished by there traditionally bright yellow covers; softballs are offered in two common sizes: 11" and 12" circumference. 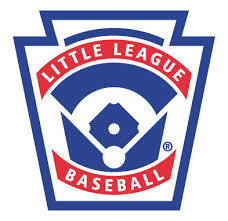 Our younger softball leagues (AA & AAA) use the smaller 11" circumference softball. 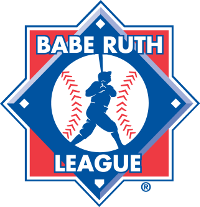 Older girls playing in Major League Softball use the larger 12" softball at ages 11-13. 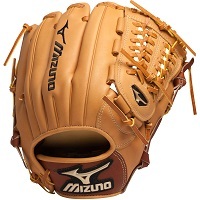 Silimar to baseball, games will be played with a league provided ball with a full-grain leather cover . The larger size of softballs causes them to loose there shape when hit while wet, so more durable softballs with synthetic covers are much more common for practice. Baseball and Softball gloves are made of leather or synthetic materials traditionally worn on the player's non-dominate hand. A "right-handed" baseball glove is worn for a right-handed player on the left-hand. Gloves differ between baseball and softball to align with the ball that is used in each sport. Higher levels of the sports offer a few position alternative glove models for infielders, but most youth gloves are constructed like an outfielder's glove with a deep pocket and webing between the fingers. Gloves are both sized for the intended age group as well as the length. The age group sizing determines the fit of the hand and wrist and are tradiitonally sized as either "youth" or "adult". Each glove also has a length, between 8" and 12" or larger. Baseball bats and fastpitch softball bats are actually quite different. Each type of bat is designed match the characterisics of the ball they are used with, softball bats are distinctive from there large flat sweet spots. Ensure you select a bat for the appropriate sport. There is a large group of bats you can immediatley ignore for youth recreation; which are known as big barrel bats. Skiles Test does not allow the use of big barrel bats, which are bats that have larger barrel diameters of 2 5/8" to 2 3/4". Skiles Test only allows traditional bats with a barrel diameter of 2 1/4". 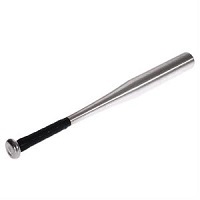 Big barrel bats have become increasingly popular, and are very previlent in travel baseball where hits are plentiful. User "batboy" wrote a detailed article promoting the use of traditional bat barrels that covers many of the elements on why recreation baseball and Skiles Test restict play to traditional bats; the full article is posted on Youth Baseball Info: http://www.youthbaseballinfo.com/do-big-barrell-bats-help-or-hinder-young-hitters. Weight & Length = "the Drop"
For your player to be successful at batting, they will need to use a bat that they can swing around their body without struggle. Players seem inclined to want to use the heaviest and longer bat they can hold, but that does not induce quality batting. As your player grows, they will need to change bat size about every two years. Batting changes quite a bit when your player turns 9 years old and are introduced to kid pitch. 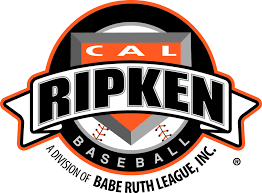 To prepare for this transition, it may be adventagious to get them using an appropriate bat at age 8, when they are still crushing the ball off of a coach pitcher, that they become comfortable with and can continue to use as they enter kid pitch the following season. Bats are manufactured in a variety of weights and lengths, typically each model of bat will be available in a variety of sizes. Each bat model will advertise a "drop" level, which is calculated subtracting the bat's length in inches from the bat's weight in ounces. Once the drop is established, for every inch longer the bat is extended, the overall weight is incremented one ounce. The goal of the batter is to maximize the swing speed of the bat with the maximum obtainable bat weight in effort to generate the most force (Issac Newton coined this as Force = mass * acceleration). In many cases, batters will attempt to swing a bat that is too long and too heavy, and hence slow the bat speed resulting in a poor hit. Skiles Test does not permit bats that have a length that exceed 33". 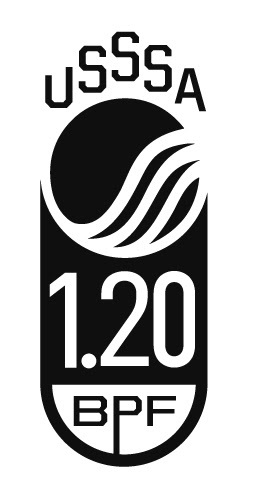 Length 24"-26" 26"-28" 28"-29" 30"-31" 31"-32"
Bat performance factor is a measurement that ensures bats are manufactured so that the hit does not create an overwhelming advantage compared to similar bats. 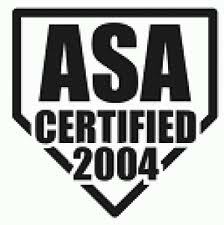 When bats are designed, they are measured for BPF, and are stamped with the rating. Skiles Test requires all bats to have a BPF rating and does not permit baseball bats with a BPF higher than 1.15 nor softball bats with a BPF higher than 1.20. Bats barrels must be in generally good condition and not have damage or modifications that may effect performance. 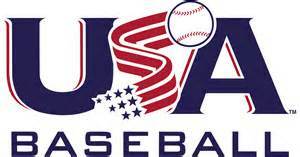 * USA Baseball approves bats with the "USABat" stamp for both 2 1/4" "traditional" and 2 5/8" "big barrel" bats. Skiles Test only allows bats with 2 1/4" traditional barrel size, so any bat with the USABat stamp must also only have a 2 1/4" barrel. Alloy bats were introduced as a durable and cost efficient replacement for wooden bats. Alloy bats have performance advantages over traditional wood bats and allow for greater variations in length to weight ratios. Composite bats are often build of graphite-fiber materials that can offer similar performance of alloy at lighter weights. Composite bats have a characteristic of a softer feel than alloy bats that can cause a sting. Composite bats are not as durable as alloy bats, and should not be used in colder weather. Bats made of composite materials are approved for use at Skiles Test. Wood bats are far less common for youth in favor of alloy and composite alternatives. Wooden bats do not offer the durability of either alternative. 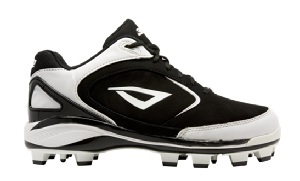 Cleats are athletic shoes used to provide players better traction on the field surfaces. Our fields are built with a variety of materials and the condition of the field changes in different weather. Baseball and Softball cleats are typically a mid or high top shoe with cleated soles to provide support on dirt, stone, and grass. Higher level baseball and softball use metal cleats, or "spikes", for improved grip; however, Skiles Test does not permit the use of metal cleats. All batters are required to wear batting helmets while batting or outside of the dugout at games and during practice. Skiles Test provides batting helmets to coaches for use by the team. Softball batting helmets are required to have a face guard. A League Baseball players playing the pitcher's helper position are required to wear a batting helmet with face guard. 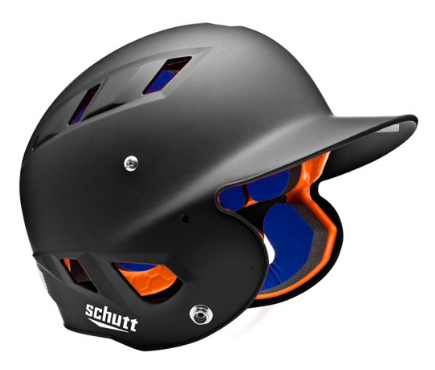 Each A League team is provided batting helmets with face guards for the pitcher's helper. A softball fielder's face guard is a plastic or metal mask worn around the face. Softball players are encouraged to wear face guards while playing infield positions. Softball players are required to wear face guards while pitching. Skiles Test provides face gurards for each softball team for the pitcher. A heart guard is a chest protector worn to prevent injury from contact of a hit ball. Softball players are reuqired to wear heart guards while pitching. A League Baseball players playing the pitcher's helper position are required to wear a heart guard. Skiles Test provides heart guards for each A League team for the pitcher's helper. Catchers are required to wear a chest protector, knee pads, and a catchers helmet. Skiles Test provides catcher's gear to each team for the catcher. Pants are produced for both baseball and softball in a few different styles. Ball players may select pants over shorts due to the amount of base sliding required in the game. Pant styles often differ in their length, the most common being full length and knicker lenght that extends just past the knee. Pants are part of the uniform but Skiles Test does not provide pants for players. Sliding pads and sliding shorts are both protective apparel to reduce injury while sliding into base, mostly skin burns or bruses. A sliding pad is a removable pad that is positioned on the leg to cusion the base runner's sliding leg from contact with the field, the pad is only worn while they player is on offence and can be removed between half innings. Sliding shorts are padded short pants worn underneath baseball and softball pants to prevent injury. Sliding shorts are mostly less padded then the external pad but can be worn for the entire game. Arm sleeves maybe worn by players if they choose; however, pitchers may not have any white, light greys, or bright or high contrast colors below their elbow while pitching as it can be a distraction to the batter. Sunglasses maybe worn by players if they choose; however, pitchers may not wear sunglasses while they pitch as it can be a distraction to the batter. Batting gloves are used by batters to get better grip on the bat. Batting gloves can provide some protection to the hands and fingers for errand pitches, but are not typically used as a protection device.